Professional ematch firework igniter for electrically igniting fireworks. 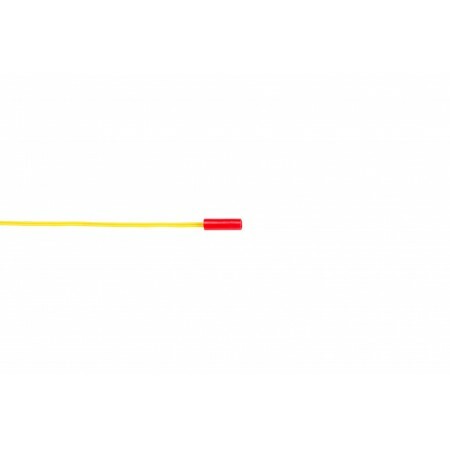 These firework igniters can be used with any firework firing system. High quality American ematch igniter. Very low failure rate. Heavy duty 24 AWG wires. Unlike Talon igniters, these ematch igniters contain a small quantity of pyrotechnic material. They pop with a flame and emit a small amount of burning debris when an electrical current is passed through them. These ematch igniters are the same type of igniter as used by firework professionals worldwide. Please purchase our E2V connectors to attach ematch igniters to consumer firework fuse. WE CAN NOT SHIP ELECTRIC MATCH IGNITERS BY AIR. PLEASE CONTACT US IF YOU ARE AN INTERNATIONAL CUSTOMER. E2V EMatch Igniter to Visco Firework Fuse Connecto..